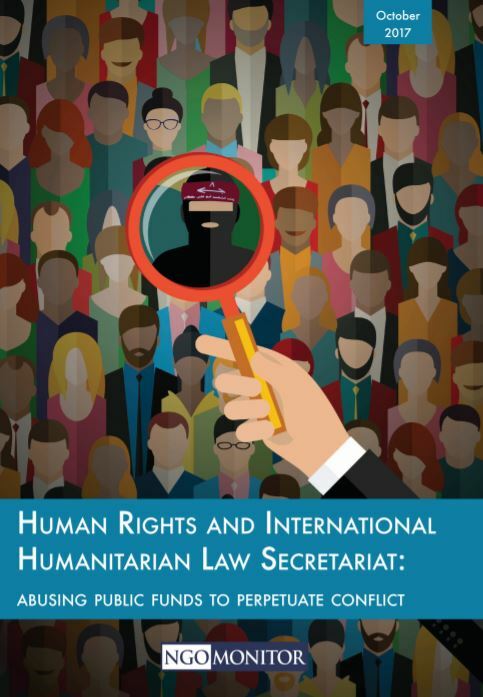 In December 2017, the Human Rights and International Humanitarian Law Secretariat ceased support and funding for NGOs. In June 2018, the Secretariat presented its final report and ended its activities. As of August 2018, the Secretariat website is no longer functional. Although the funding governments claim to oppose BDS, 65% of Secretariat funding is provided to NGOs that are BDS leaders. Click here for recent activities of NGOs receiving core funding from the IHL Secretariat, May 2017. Denmark, Sweden, Switzerland, the Netherlands, and Norway1 jointly fund Israeli and Palestinian NGOs through the Human Rights and International Humanitarian Law Secretariat (the “Secretariat”). The funds are managed by the Institute of Law at Birzeit University (IoL-BZU) and NIRAS, a European consulting company.2 Officially, the donor countries are responsible for “deciding on the general framework and policy for the HR/IHL Secretariat" and approving the program and specific grants. Some of the organizations receiving Secretariat funding promote antisemitic rhetoric and have reported links to the Popular Front for the Liberation of Palestine (PFLP) – a designated terrorist organization by the US, EU, Canada, and Israel. On December 22, 2017, following a review of its support for Palestinian NGOs, the Danish foreign ministry announced that it would cease funding to the Secretariat, stating that the “majority of Danish aid to the organizations, which was suspended in 2017, will not be paid. 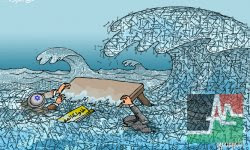 The ministry also confirmed that that donor cooperation will end at the end of the year ." On June 30, 2017, in correspondence with NGO Monitor, the Dutch Minister of Foreign Affairs confirmed that, “in cooperation with the other donor countries of the Secretariat, the Netherlands has decided to suspend cooperation with WATC until further notice." On August 21, 2017, the Swiss Government confirmed that the Secretariat is suspending funding to WATC. Original 3-year budget of $17.6 million (2014-2016). Current budget appears to be approximately $19.1 million. In 2016, the Secretariat received an additional $1 million from Sweden for core funding. In 2016, Norway distributed approximately $600,000 to the Secretariat. It is unclear how this funding was used. The Secretariat provides “core-funding” grants for three years to select prequalified organizations, with limited restrictions, to support the general budgets of organizations and their overall operations. 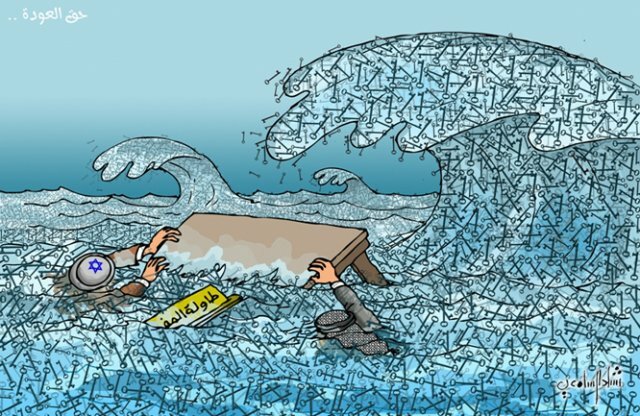 A total of 24 highly politicized Israeli and Palestinian NGOs active in the Arab Israeli conflict were chosen. (See table below for complete list). Additional “project funding” grants totals 20 percent of the budget, and an unknown amount of “emergency funding" was announced in 2014, largely going to the same NGOs that receive core grants. 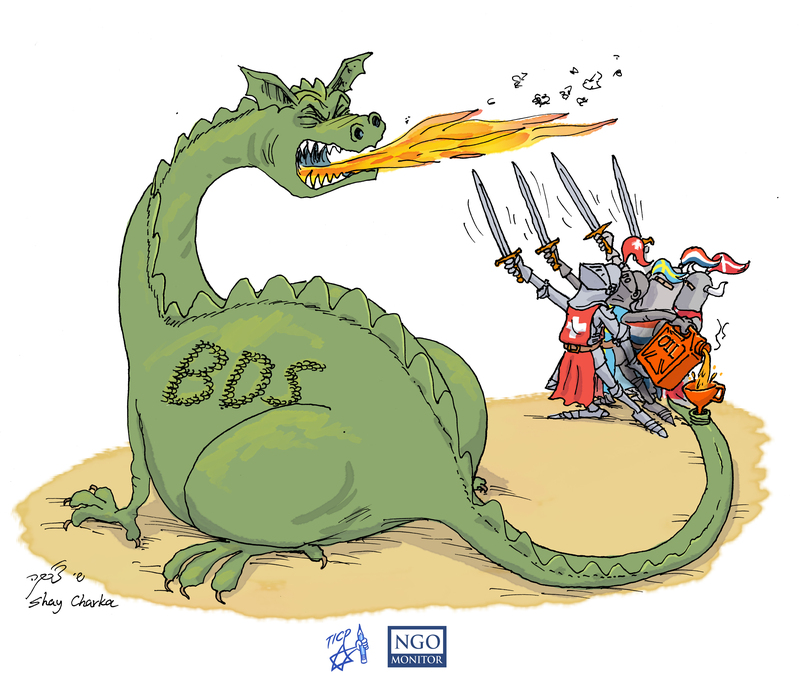 Funds highly politicized NGOs that engage in legal warfare against Israeli officials and companies that do business with Israel, promote BDS (boycott, divestment, and sanctions) campaigns, advance a “1948 agenda,” exploit the false “apartheid” analogy to demonize Israel and even promote antisemitic propaganda. These activities violate the IHRA Working Definitions of Anti-Semitism and definitions of the European Parliamentary Group on anti-semitism. Following the 2014 Gaza war, the Secretariat funded a video, produced by the Ma’an Network, which consisted primarily of anti-Israeli incitement. The video portrays Israel as the sole perpetrator of violent attacks, while omitting the numerous Hamas war crimes against Israeli civilians and intra-Palestinian human rights violations. At the 2014 Launch Event, Secretariat Manager Mustafa Mari “…highlight[ed] the difficulties faced by the Palestinian people and the need for supporting the human rights and international humanitarian law CSO sector, while reminding the audience of the apartheid-like realities that duty- bearers must address” (emphasis added). In a different IoL-BZU event, Mari referred to Israel’s “colonial policy that dated back at least to the 1930s" and the “need for legal frameworks which make the occupation illegal, criminalize Israeli practices, and support unification of Palestine and Palestinians." Mari previously worked at Al Haq, a leader in legal warfare against Israel and a Secretariat funding recipient (see below). The location of the Secretariat within Bir Zeit University (BZU) is in itself a reflection of these aspects. 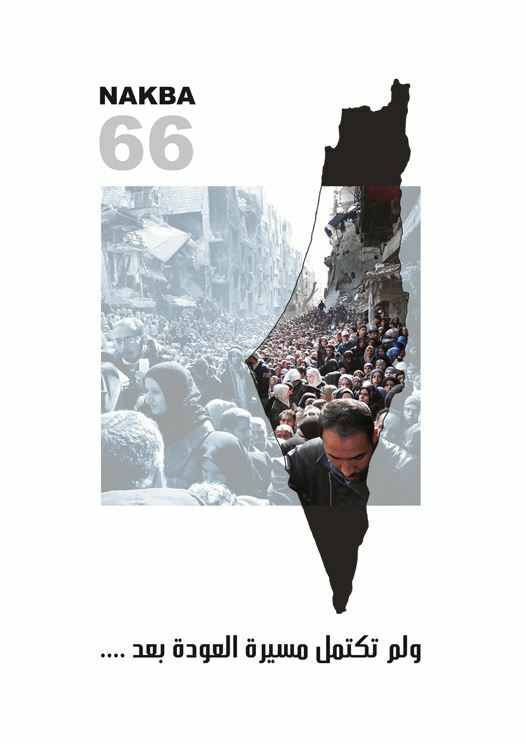 In February 2014, IoL-BZU published, “Advocating for Palestinian Rights in conformity with International Law: Guidelines” (English and Arabic). This document is a strategic manual for promoting “lawfare,” declaring that “racist regimes which are absolutely prohibited in their entirety.” This report was posted prominently on the Secretariat Facebook page. According to Cherif Bassiouni, international legal expert and one of the founders of the International Criminal Court, Birzeit University invited Bassiouni to speak, but withdrew the invitation after learning that he was also scheduled to speak at Israeli universities in May 2015. BADIL (Secretariat funding $370,000) Founded to promote a Palestinian “right of return” and a leader of international BDS campaigns. 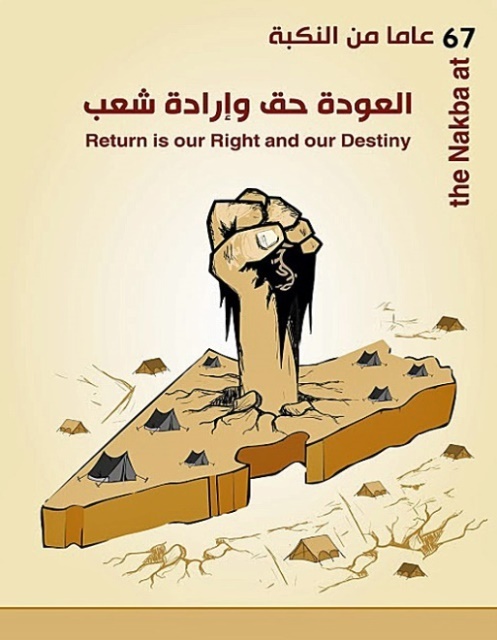 BADIL holds annual “right of return contests” and has published antisemitic cartoons on its website, as well as imagery promoting the elimination of Israel, which is a widely recognized form of antisemitism. 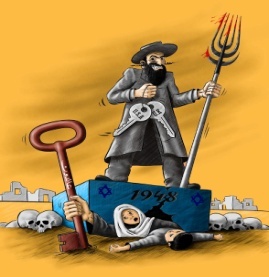 A cartoon that won a monetary prize for 2nd prize in BADIL’s 2010 Al-Awda Nakba caricature competition is a blatant representation of classic antisemitic tropes, including a Jewish man, garbed in traditional Hasidic attire, with a hooked nose and side locks. He stands above a dead child and skulls, holding a pitchfork dripping with blood. Al Haq (Secretariat funding: $710,000, approved for an additional $160,000 in 2016) frequently submits briefings and “testimony” to the ICC; seeks to sabotage the Israeli court system by “flooding the [Israeli Supreme] Court with petitions in the hope of obstructing its functioning and resources.” Al Haq’s General Director, Shawan Jabarin, has alleged ties to the PFLP terrorist organization and as such has been denied exit visas by Israel and Jordan. Click here to see NGO Monitor’s translation of the ruling by the Israeli High Court of Justice (June 20, 2007). The PFLP is a designated terrorist organization by the EU (see below). Stop the Wall (Secretariat Project funding $65,000 via Palestinian Farmers Union) Also a leader of the international BDS campaign that received a grant for an overtly political project “To contribute to a situation of accountability and respect for human rights by all duty bearers by creating mechanisms to implement ICJ decisions related to the separation Wall.” Stop the Wall claims that “The Wall is an integral part of the Zionist project to remove Palestinians from Palestine,” and considers “The Wall to be an integral part of the racist ambitions of Zionism” and “Israel’s occupation, colonialism and apartheid” policies. Salah Khawaja, a “leader” with Stop the Wall was “an active member of the PFLP.” He was arrested by Israeli security forces seven times between 1983 and 1992 and served five years in prison between 1992 and 1997. Khawaja was arrested again on October 26, 2016 and as of November 13, 2016 is still being held. 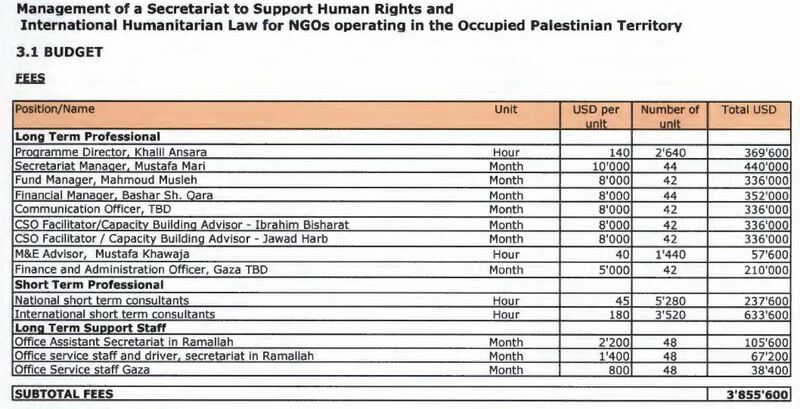 Additional and unspecified amounts of “emergency funding” (August 2014) provided to nine NGOs was designated for use in documenting “large scale violations of human rights and international humanitarian law – the majority against Palestinian civilians and civilian objects” in Gaza. With this additional funding, the Secretariat declared its actions to support “current and future documentation and investigation efforts by CSOs [civil society organizations] for the purposes of assisting and supporting national and international mechanisms” such as the UN Human Rights Council’s investigation and the campaign to open cases against Israelis in the ICC. Al Haq –The Israeli Supreme Court has identified Al Haq’s general director Shawan Jabarin as “among the senior activists of the Popular Front terrorist organization.” The PFLP is a designated terrorist organization by the EU. Addameer (Secretariat funding: $325,000) appears to have close connections to the Popular Front for the Liberation of Palestine (PFLP), a terrorist organization (see above). Addameer’s chairperson and co-founder, Abdullatif Ghaith, was banned by Israel from travelling internationally because of his alleged membership in PFLP. Defense for the Children International – Palestine (DCI-P) (Secretariat funding $738,000) Several DCI-P board members have apparent ties to the PFLP. Mahmoud Jiddah, reportedly a “PFLP member,” was imprisoned by Israel for 17 years for carrying out “grenade attacks” against Israeli civilians in Jerusalem in 1968. Hassan Abed Aljawad is similarly described as a Bethlehem-based “PFLP activist,” or “leader,” representing the PFLP at public events. Palestinian Center for Human Rights (PCHR) (Secretariat funding: $710,000) Raji Sourani, founder and director of the PCHR, was “prohibited from leaving Palestine (sic) from 1977 to 1990.” In an interview, Sourani admitted that he served “a three-year sentence [1979-1982] imposed by an Israeli court which convicted him of membership in the illegal Popular Front for the Liberation of Palestine…” Sourani was imprisoned an additional three times “in 1985 and 1986…” and held in administrative detention in 1988. From 1986 to 1987 he was “restricted from legal work for one year by an Israeli military decision issued by the Israeli Military Governor.” He was also denied a US entry visa and was thus unable to travel to participate in the Russell Tribunal on Palestine (RToP) in 20123. In February 2014, the PFLP organized a ceremony in Gaza honoring Sourani for winning the “Alternative Noble Prize.” Dr. Rabah Muhana (see UHWC above), a member of the PFLP Political Bureau, delivered a speech at the prize ceremony. Stop the Wall (Secretariat Project funding $65,000 via Palestinian Farmers Union) Salah Khawaja, a “leader” with Stop the Wall was “an active member of the PFLP.” He was arrested by Israeli security forces seven times between 1983 and 1992 and served five years in prison between 1992 and 1997. Khawaja was arrested again on October 26, 2016 and as of November 13, 2016 is still being held. The financial report of the Secretariat reflects uniquely high NGO administration expenses and salaries amounting to $3.8 million- approximately one-quarter of the total budget. Al-Quds Human Rights Clinic $25,000 Upgrading the capacity of the Human Rights Clinic, to be more independent in teaching and supervising documentation of human rights violations in Jerusalem. The Civic Coalition for Palestinian Rights in Jerusalem (CCPRJ) $50,000 To empower Palestinian civil society stakeholders in education in occupied East Jerusalem, including parents, students, school teachers and administrators, to play an effective role in combating De-Palestinization and protecting and promoting Palestinian culture and identity in East Jerusalem education. Community Media Center $65,000 To contribute to promoting and protecting youth rights in the Gaza Strip through developing youth capacity in using media and social media in advocating for and protecting their rights and developing community awareness and a culture that respects human rights. Centre for Women's Legal Research & Consulting $45,000 To contribute to promoting women's rights and gender equality in the Gaza Strip based on IHRL and IHL. Hurryyat $50,000 To strengthen the culture of respect for HR and IHL towards a torture-free Palestinian society, enhanced by the rule of law. Ibrahim Abu-Lughod Institute of International Studies- Birzeit University $70,000 To improve political processes that underpin human rights, in particular representation, in the refugee camps of the West Bank and Gaza Strip. Kav LaOved $60,000 To uphold Israeli labor law and protect and promote the rights of Palestinian workers employed by Israelis in Israel and in the Occupied Palestinian Territories. Land Research Center $72,000 To provide technical and legal support to victims of land confiscation and house demolition in five villages in the Hebron governorate to access the Israeli justice system. Ma'an Development Center $68,211 To empower 140 young community leaders in the Gaza Strip to mainstream HR and IHL into their social actions and influence duty bearers to fulfill their obligations towards the rights- holders through addressing and advocating for specific human rights violations in policy dialogue. Ma'an Network $56,000 To establish a Palestinian culture that demands government accountability for and protection from human rights abuses, through raising awareness of citizens' legal rights and establishing a channel through which the public can demand transparent investigations into human rights violations and the systematic reform of government institutions abusing human rights. Musawa- The Palestinian Center for the Independence of the Judiciary and the Legal Profession $45,000 The project adopts a holistic approach in working towards a justice section of the Palestinian constitution based on HR/IHL and societal consensus. Muwatin- The Palestinian Institute for the Study of Democracy $80,000 To empower citizens to excersize accountability over the laws produced in the absence of a legitimate and functioning PLC. The Palestinian Farmers Union as hosting organization of the Stop the Wall Campaign $65,000 To contribute to a situation of accountability and respect for human rights by all duty bearers by creating mechanisms to implement the ICJ decision related to the separation Wall. PARC- The Agricultural Development Association $97,850 To contribute to protecting the agriculture farmlands and farmers' rights based on IHRL and IHL. Palestinian Bar Association $55,000 To strengthen the Palestinian Bar Association constituency and Gaza legal community engagement in civilian protection to uphold human rights and promote access of victims to justice. PCS- The Palestinian Consultative Staff for Developing NGOs $65,000 To contribute to institutional and policy reforms that advance the rights of people with disabilities through documenting violations of persons with disabilities rights, advocating for the adherence to the Palestinian Disability Law and the International Convention on the Rights of People with Disabilities. PSCCW- Psycho Social Counselling for Center for Women $50,000 [This application was withdrawn and did not receive funding] To contribute to ending violence against women in the Palestinian society, particularly killing under the pretext of the so-called honor, through enhancing the application of human rights and international law principles. Rabbis for Human Rights $70,000 To address the ongoing human rights violations taking place in the oPt in general and in the so-called 'Gush Etzion' region specifically, by providing legal representation to enable victims of human rights violations to seek redress and ensure protection of their rights. Teacher Creativity Center $99,290 To promote the role of education in the formation of informed, responsibile and active citizenry prepared to abide by, defend and promote human rights culture, humanitarian law and the principle of respect for life and human dignity. Women for Life Organization $35,000 To contribute to reduce all kinds of violence against women and empower divorced women (before consummation) in Salfit and Qalqilya, socially and legally so that they are able to defend their rights. As of the newsletter released in November 2016, Norway no longer appears on the Secretariat’s list of funders. However, according to Norway, an additional funding installment of approximately $300,000 will be distributed in 2017. An overview of funding to the IHL Secretariat from its donor governments, following Denmark's signing agreements for an additional funding cycle of $8.3 million. The 2014 Annual Report of the IHL Secretariat brings to light the fundamental problems with its funding mechanism, including support for political warfare against Israel and very limited focus on alleged violations by Palestinians. The IHL Secretariat (Sweden, Denmark, Switzerland, and the Netherlands) has released its 2015- 2016 budget, providing funds to NGOs involved in BDS and lawfare, with a focus on Jerusalem. Many highly politicized NGOs that are funded by the IHL Scretariat (composed of Denmark, Sweden, Switzerland and the Netherlands) have issued problematic statements regarding the recent wave of terror, which ignore attacks against civilians and Israel's right to self-defense. On August 2, 2014, a funding consortium comprised of the governments of the Netherlands, Switzerland, Sweden, and Denmark announced emergency funding to nine NGOs for use in documenting political warfare charges against Israel.